Can someone pinch me please? I am not sure that I am awake or still asleep because it seems that I am dreaming, we were not over from the hangover of Sonam Kapoor’s wedding thus we went to sleep out of tiredness and wake up with the news of another Bollywood wedding, yeah, it surely raining weddings in Bollywood. 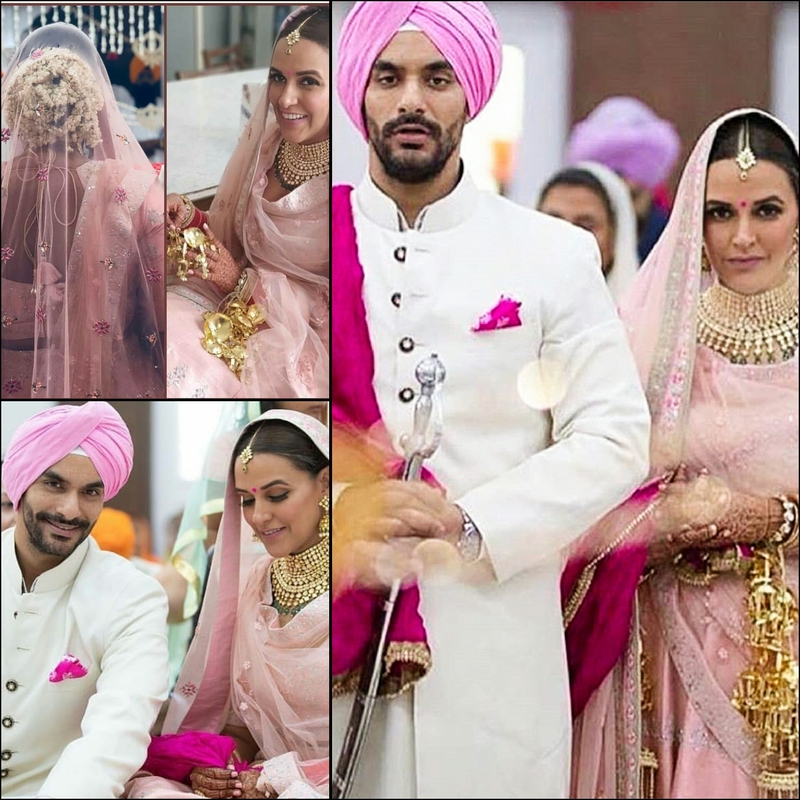 Former Miss India and actress Neha Dhupia tied the knot with Angad Bedi, a very talented and handsome Bollywood actor, yesterday morning. Yes, it is true but we still can’t believe it because it was a secret and private ceremony, also because there were no rumours about their relationship either. Neha Dhupia wore the designer Anita Dongre lehenga & jewelry and looked efficiently graceful in blush pink colour & they both complemented each other impeccably. Metroholica wishes both Neha Dhupia & Angad Bedi a blissful marriage and may they live happily ever after. Stay connected to Metroholica for more updates & till then…..Be Fashionable….!! !